"Uniformly terrific cast - ★★★★ The Stage"
It’s small versus big. It’s pressures of the future. It’s everything being stacked against you and all options feeling equally terrible. James Fritz (Ross & Rachel) teams up with Genesis Future Directors Award Winner Ola Ince (Dutchman) to bring you a show about occupation, revolution and the future of our youth. One step away from disaster, there’s only one instruction: start swimming. 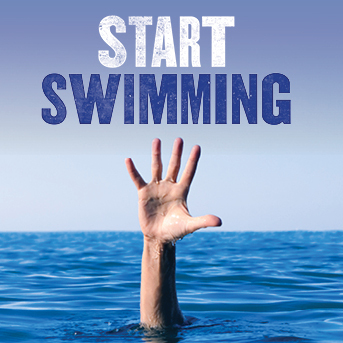 The latest of Young Vic Taking Part’s Parallel Productions, Start Swimming was created in response to the Young Vic production Why It’s Kicking Off Everywhere.